Called Intel Threat Detection Technology, the tool detects new classes of threats, the company said. Microsoft will integrate the tool into its Windows Defender Advanced Threat Protection, and the first Cisco product to get the tool will be Cisco Tetration Platform, which provides data centre security and cloud workload protection. 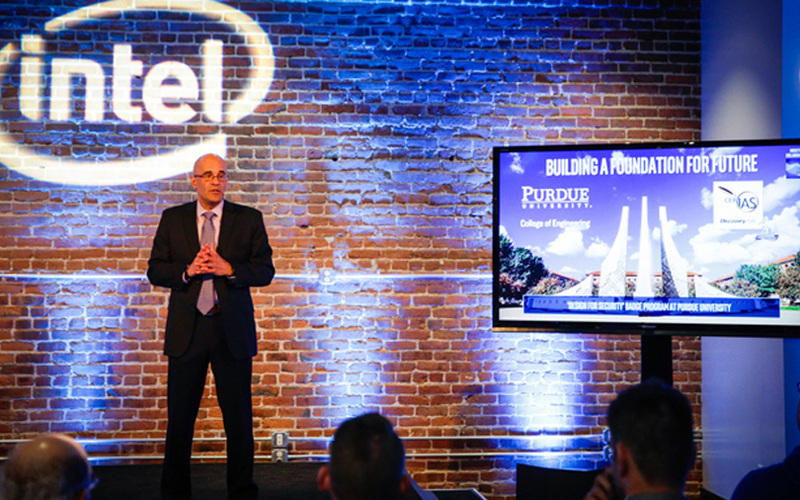 The chipmaker also said it was launching another product called Intel Security Essentials and was partnering Purdue University to tackle shortage of cybersecurity talent. The Intel Security Essentials will work across the chipmaker's Core, Xeon and Atom processors. To protect applications, Essentials will ensure integrity of technologies like secure boot, hardware protections (for data, keys and other digital assets), accelerated cryptography and trusted execution enclaves. "This standard set of capabilities will accelerate trusted computing as customers build solutions rooted in hardware-based protections. Further, these capabilities, directly integrated into Intel silicon, are designed to improve the security posture of computing, lower the cost of deploying security solutions and minimise the impact of security on performance," said Rick Echevarria, vice-president of the software and services group at Intel. The move by Intel comes one day after TechCircle reported that enterprise IT solutions and networking giant Cisco released advanced features to its email security suite, which would improve endpoint protection by preventing phishing and spoofing attacks. The company, which already had a cloud-managed endpoint security solution, Advanced Malware Protection (AMP) for endpoints, has added new enhancements to this suite meant for enterprise staff. The new capabilities offer sophisticated detection and protection mechanisms to stop threats such as ransomware and crypto-mining. A new cloud application, Cisco Visibility, has also been built into the endpoint console. Earlier in the month, a survey by McAfee LLC said that job satisfaction, automation and gamification at the workplace are key to beating cybercriminals. (Gamification uses game design and psychology to drive productivity and staff engagement.) The US software security firm surveyed 300 senior security managers and 650 security professionals in public and private sectors around the world. According to the report, 46% of respondents believe that in the next year they will either struggle to deal with the increase of cyber threats or find it impossible to defend against them. Nearly a quarter of respondents said that they needed to increase their information technology (IT) staff by 24% in order to manage the threats, while 84% admitted it was difficult to attract talent and 31% said they did not actively do anything to attract new talent.